Saving money in New York City is hard. (Unless you’re rich -- in which case, let’s exchange Venmo info in the comments.) If you’ve ever tried to save a few bucks on lunch by opting for street meat, you may have been unpleasantly surprised when you didn’t get change back from a $10. Thought you’d put away some extra cash by renting in a deep corner of Bushwick? Guess again, it’s cool now! Tourists and transplants priced you out of your local bar/coffee shop/bodega/restaurant? That’s simply the name of the game, baby! But even in this city of aspirational pricing, thanks to an amalgamation of city initiatives, benevolent benefactors, and green spaces made possible by public-private partnerships, there are still quite a few free things to do in New York City. 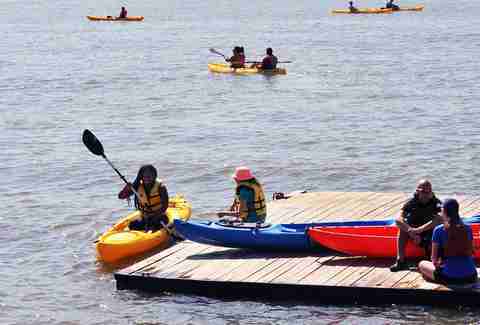 Do your wallet a favor for once and skip the bar tab and restaurant check in lieu of these free activities. Now you give that credit card a rest and go hunt down some free cheese. Once you’ve stuffed your belongings into a complimentary locker, and your limbs through a swim vest at Pier 26 in Hudson River Park, you’ll take a brief tutorial at the dock’s edge… real brief, “try not to drown, etc.” Then, you’ll gracelessly paddle away from your NYC troubles -- or as far away as the barrier rope allows, at least. Ah, free talks in public spaces -- where a Nobel Prize winner can discuss her life’s work on the human mind’s capacity to absorb and essentially become the object it perceives, before an audience member chimes in during the Q&A, “This is really more of a comment, but...” Citywide, venues host talks by artists and intellectuals from all over the world, and, on many occasions, they have to listen to whatever stupid questions you have after. Check out monthly schedules at McNally Jackson and Penn Book Center, or browse lists like this one to see which libraries and organizations are curating smarties. 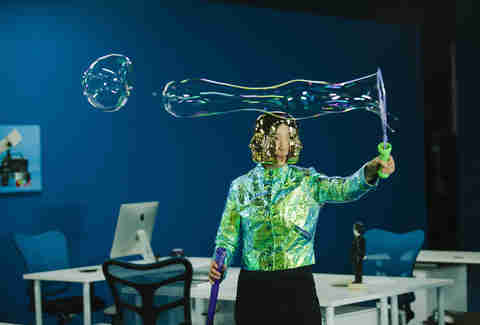 If you’re a science guy, but you live in Brooklyn, so all your friends are art guys, fear not: Pioneer Works is the laboratory-turned-art-museum you’ve been waiting for. The nonprofit aims to do away with the dividing lines between art and science. Check out their calendar to see which workshops, open studios, lectures, and festivals are free before you go. Costco is not the only large-scale draw to Sunset Park. We’re not saying free samples and bulk paper towels aren’t worth a fun day trip on their own -- but right around the corner from the wholesale grocery purveyor, you’ll find Industry City: an enormous complex of repurposed industrial warehouses, now home to a distillery, a thriving food court, and public factories dishing out homemade chocolate, pickles, and extremely expensive coffee. The fare will cost you, but hitting one of I.C.’s yoga classes, salsa nights, or rooftop films will not. It’s only slightly taboo to munch on handfuls of raw almonds from the Whole Foods bulk section, but if you hit a farmers market, purveyors actually want you to grab small seagull-esque bites of food. We’re talking artisanal jam, local pickles, fresh cheese, and warm baguette for your sampling pleasure, all bussed in from real life farms outside the city. 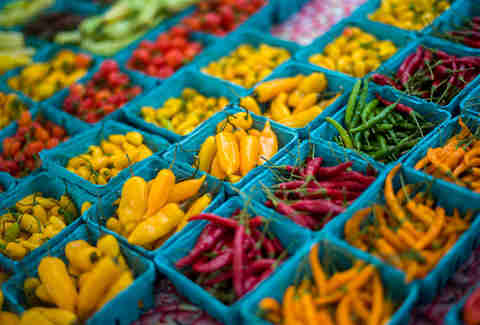 We recommend the Union Square Greenmarket, the Grand Army Plaza market, and the Fort Greene market, to start. 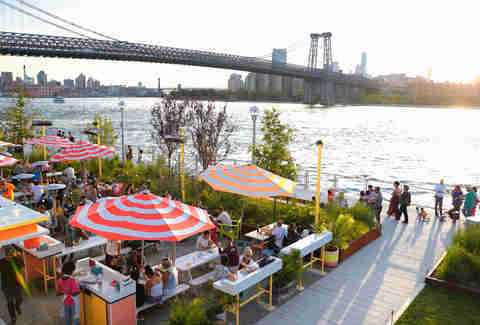 Williamsburg’s newly revamped waterfront park is no McCarren. Furnished with an elevated walkway, a beach volleyball court, a dog run, and playing fields for soccer and bocce, it’s hard to run out of things to do. Bring your friends, bring your dogs, bring your friend’s dogs, maybe try your dog’s friends, and enjoy this outdoor oasis. 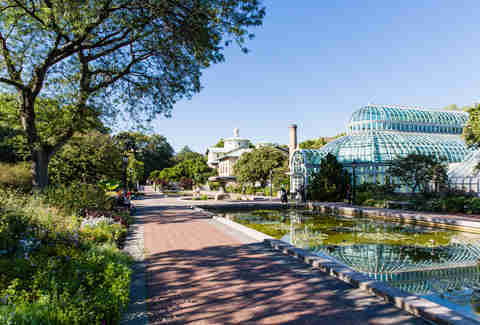 Every Friday before noon, admission to the Brooklyn Botanic Garden, located on the north side of Prospect Park, is completely free. The best time to get there is from late-April to mid-May, when the cherry blossoms are in full bloom, but there’s plenty of Instagram-worthy foliage to see year-round. Upright Citizens Brigade’s ASSSSCAT 3000 is free every Sunday night. The long-running improv show’s rotating cast features frequent cameos by comedy world stars -- including UCB founding member Amy Poehler. Ticket distribution begins on-site at 8:15pm for the 9:30 performance, but get there early -- folks have been known to line up hours before the show. 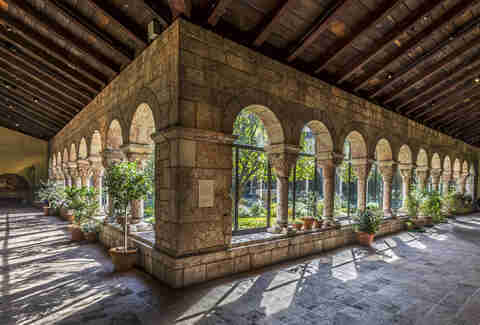 Located at the very top of Manhattan in Fort Tryon Park, the Cloisters -- the Met's sister museum dedicated to medieval art and architecture -- is the perfect place to roam on a sunny afternoon. 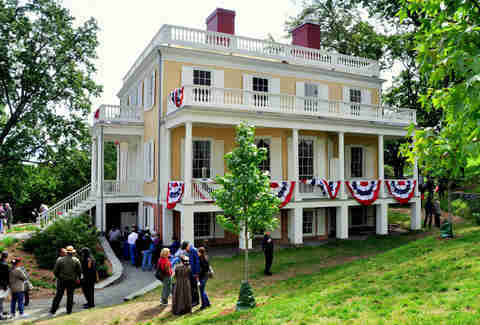 Take the A train to 190th St and then stroll through the park nestled right along the Hudson River. 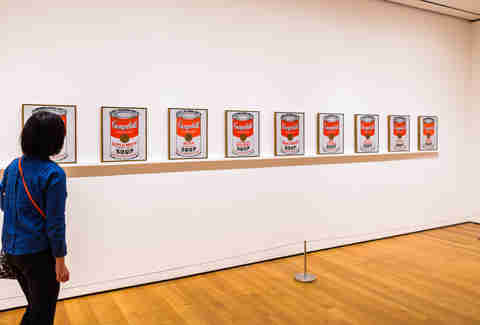 Although there’s a suggested price for admission, you can very well choose to not pay anything (if you’re a resident of NYC or a student in New Jersey and Connecticut). The museum is open every day, from 10am-5:15pm from March-October, and 10am-4:45pm from November–February. This free garden and public park in Long Island City (open every day from 9am to sunset) is NYC’s only space dedicated to large-scale sculptures and outdoor multimedia installations. 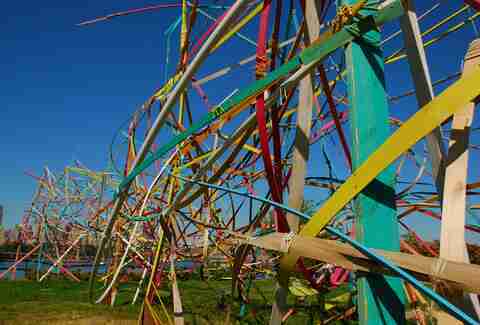 The park showcases four visual initiatives each year, including a spring and summer exhibition created by internationally acclaimed artists and an exploration of sculpture and architecture called Folly/Function. To get there, take the N/W train to 30th Avenue, then walk a few blocks west on 30th to Main Avenue and turn left (Main Avenue becomes Vernon Boulevard after Welling Court). It will cost you exactly $0 to be in the same room as Jimmy Fallon, Seth Meyers, and Whoopi Goldberg as tapings to daytime and late-night talk shows filmed in NYC are completely free. You can put in requests for Good Morning America, Live with Kelly, The Chew, The View, and Late Night With Seth Meyers on this website, and information about many other free studio audience tickets can be found here. 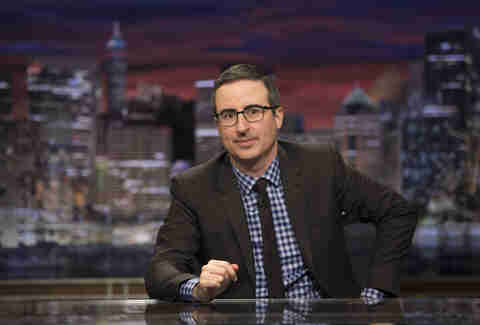 Do note that most of these shows tape during weekdays, save for Last Week Tonight with John Oliver, which tapes on Sunday afternoons. 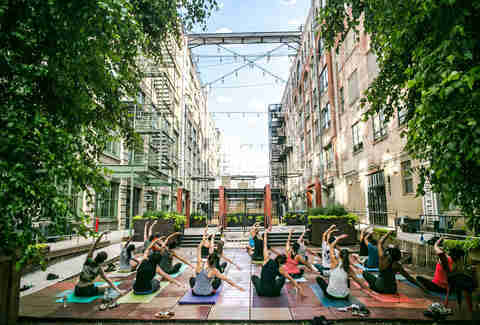 Yoga to the People, with six locations across New York City, offers donation-based yoga classes, meaning you can get your zen on at no cost. Unsurprisingly, the classes are pretty popular, so make sure you get there at least 15 minutes early to snag a spot -- and bring your own mat (rentals are $2). 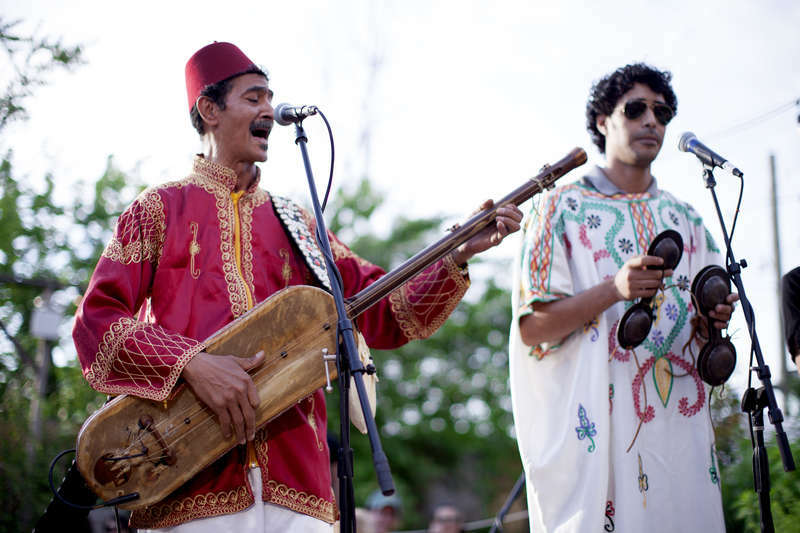 You can also check out Harlem Yoga and Bikram Yoga Harlem’s community classes, or join the masses at Bryant and Washington Square park during the warmer months. 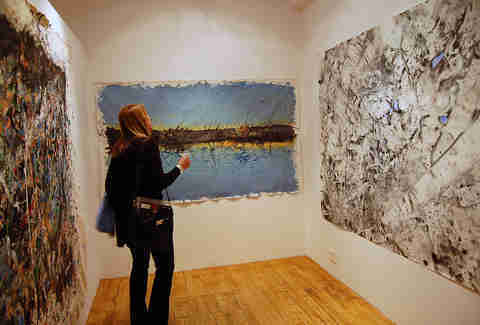 Every Thursday night, Chelsea art galleries host openings for new showings that are completely free to the public. Almost all of them offer freebies like wine and cheese, so make sure to check this website to stay up to date on gallery openings. Williamsburg-based Brooklyn Brewery offers free tours of its facility every half hour on Saturdays and Sundays from 1-6pm, and after the tour, you can drink the beer for only $5 a pint (which isn’t free but still cheaper than most bars in New York). In Astoria, SingleCut Beersmiths holds a free tour at 5pm on Saturdays and Sundays. Tickets for ferry rides to the Statue of Liberty are ridiculously expensive, and you have to battle pushy crowds for a good seat. 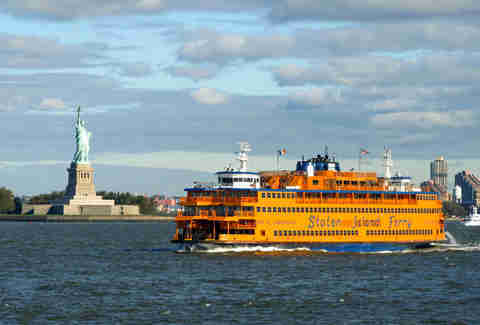 To get an up-close view of Lady Liberty and Ellis Island, take the Staten Island Ferry, which departs from Manhattan every 30 minutes. If you take it during sunset, you’ll get great views of the skyline, and you can sip beer right on the ferry for about $4 a drink (or BYO). If you have a NYC library card, that wallet placeholder is your ticket into 33 museums and attractions. If you don’t, many New York City museums offer free admission days or pay-what-you-wish. There are also museums that are always free, like the FIT Museum in Chelsea, which features exhibits dedicated to fashion. Below are some of the best free museum days you’ll want to put in your planner now. Frick Collection: First Friday of the month, 6-9pm, and pay-what-you-wish on Wednesdays, 2-6pm. Jewish Museum: Saturday, all day, pay-what-you-wish on Thursdays, 5-8pm. 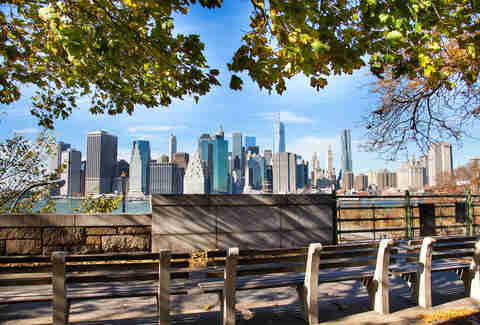 When the weather's nice, spend an early morning walking the High Line, an abandoned aboveground railroad track turned into an urban park, or the Brooklyn Heights Promenade, which features the best views of Lower Manhattan. If you're looking to avoid crowds at all costs, get there extra-early or go on a weekday. 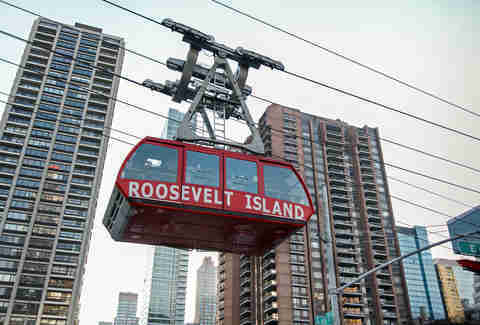 If you have an unlimited subway pass, trips on the Roosevelt Island Tram are included. If not, it’ll set you back $2.25. There's no better way to conquer your fear of heights than being suspended above Midtown East and the East River. We recommend going at sunset, but it’s worth noting that you can get a pretty decent view of the skyline until about 2am. Once on Roosevelt Island, head south to South Point Park where there’s plenty of room to picnic, sunbathe, or set up an impromptu Instagram photo shoot with the skyline in the background. 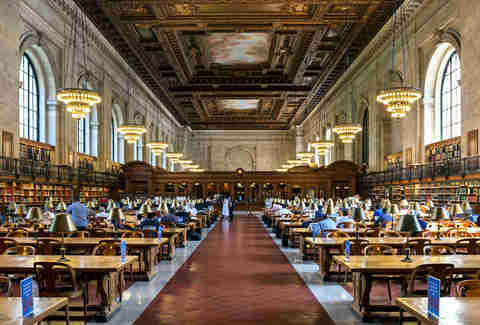 The Rose Main Reading Room, one of the largest and most beautiful interior spaces in NYC, is the perfect place to discover a new book on a rainy day -- plus, this historical space is looking pristine as ever after its two-year renovation and reopening in 2016. If you want to learn more about the library’s history, free one-hour tours of the whole building are offered on a first come, first served basis Monday through Saturday at 11am and 2pm, and Sundays at 2pm. Tickets to the Broadway hit Hamilton are going to cost you a few hundred dollars, but for free, you can visit many of the places that Alexander Hamilton actually frequented or lived. The highlight of your self-guided tour around the city is Hamilton Grange, which is where Hamilton lived the last few years of his life. Tuesdays in Brooklyn are the perfect time to see if your film knowledge is strong enough to get you free drinks. Every other Tuesday at 8pm, Syndicated Bar in Bushwick hosts a free movie-trivia night (winners get certificates to the movie theater in the bar, and there are chances to win free drinks throughout the night). Every other Tuesday (roughly, check the calendar) at 8pm, Jake Levitt hosts a free movie-trivia night at Syndicated Bar. Prizes including gift certificates, movie tickets, and a round of drinks on them! Time to round up that one friend who can name every Best Picture winner since 1938. Eliza and Ruby have a lot of student loan payments to make. Ciera Velarde's heart stopped when she saw Amy Poehler perform improv at a free UCB show. Follow her on Instagram.